Here is how it works: Participating Liz Moore listings with sales prices up to the VA loan limit of $458,000 have partnered with 5 of our preferred lenders and Lytle Title to pay all of the buyer’s closing costs and prepaid items, including a survey and owner’s title insurance. 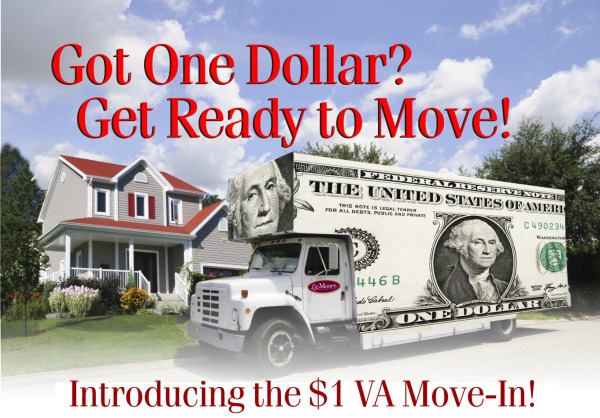 What does that mean for VA eligible buyers? That you can put just one dollar down as an earnest money deposit, and move in after closing with no more money out of pocket!